For most parents, the health of their children is the most important thing in their lives. It doesn’t matter what age the child is, there are always things out there that can negatively impact their health. Sadly, many of those things are found right inside the child’s own home. The good news though is that there are solutions that parents have within their control that can help their homes become healthier places to raise their children. One of the most difficult and frustrating times for a parent is when their children reach the crawling stage. Suddenly their child, who just a short time ago needed to be carried around the house, can now move themselves from room to room. Here is a look at some of the steps that parents can take to keep their homes clean and healthy for their children who crawl. Most houses have a number of areas where various amounts of clutter accumulate. Some people stack up newspapers for months on end. Some allow junk mail to take over a section of their countertops. Still, others accumulate both paper and plastic bags and keep them in boxes or containers either in the kitchen or nearby. Spiders, roaches, and other pests search out cluttered areas of houses to use as their own homes. These insects can be unsanitary, bite or sting, and can also carry germs and disease. Cleaning cluttered areas will not automatically rid a home of unwanted pests, but it should lessen the amount of them that reside inside the house. With fewer insects crawling around, it should make parents feel a little better about letting their children down on the floor. For a number of reasons, it is a good idea to have the area where pets eat either be outside of the home or in an entry way or garage that can be sealed off from where children play and crawl. Kids love to get into anything and everything that they can. Having a pet’s food and water on the floor where kids can get into it is both unhealthy and unsanitary. With the food dish in reach of children they could end up either eating the food meant for the pets, making a mess by spilling it, or possibly becoming ill because of germs that may be present in and around a pet food dish. Placing these bowls in an area where children cannot access them removes the chance that a child will get into them. Making use of cleaning products that have less of an impact on the environment is not just a matter of being ecologically responsible, it is a matter of keeping a house both clean and healthy for the children that reside within it. Allowing children to crawl directly on a floor that has been cleaned with dangerous chemical products is very unhealthy. If a kitchen floor has recently been cleaned with toxic cleaners and then a child is allowed to crawl across it, that child could then ingest that poisonous material simply by placing their fingers in their mouth. Using environmentally friendly cleaning products could make a home safer for small children by eliminating a real possibility that they could come in contact with a harmful chemical. Whether on top of the counter, underneath the edge of the refrigerator, or in a forgotten corner of the kitchen, stray crumbs and food particles can be a source of trouble and unhealthiness for children who crawl on the floor. These forgotten pieces of food can attract both insects as well as mice and rats. This gives the child a chance of interacting with unsanitary pests and possibly having to deal with the health concerns that can come with that interaction. 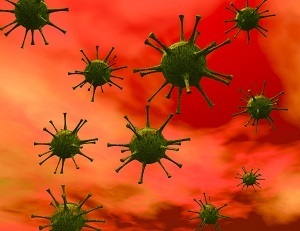 Discarded food and crumbs pose another health concern in that they could rot, grow mold, or become tainted with a bacterial growth and then be ingested by the child. Cleaning up crumbs and discarded food is an extremely easy way to make a home healthier. One of the things that pests, both insects as well as rodents and other creatures, need to exist is water to drink. Removing unattended sources of standing water can go a long way in making a home inhospitable to unwanted bugs and small animals. There are a number of places where water can accumulate and become a haven for pests including under the sink, in basement corners, and in forgotten refreshments that are left about. Fixing leaks under the sinks in a house not only makes the home operate more efficiently but it also makes it harder for unwanted pests to find a way to continue living in the house. Mopping up moisture in a basement, or even using a humidifier periodically to remove the dampness that can be found there, lessens the chances that water will accumulate in a hard to find location. Cleaning up the drink containers after a party or family meal also removes unintended watering sources for pests from a house and makes it a cleaner place for children to crawl about. Sometimes it is the easy and common sense solutions that can keep pests from infiltrating a home. Keeping children healthy is one of the primary goals and jobs that parents have. Generally speaking, most parents look at doctor appointments, exercise opportunities, and healthy food at meal times as ways to keep their children in good health. While these are all necessary and important things to keep in mind while raising children, there are also other things to consider when looking out for a child’s well-being. 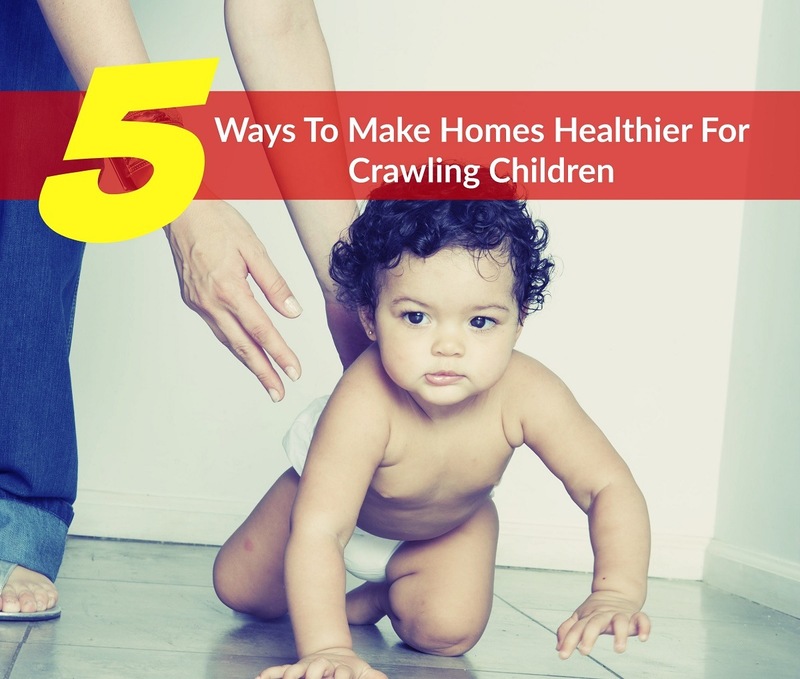 When children are of an age where they are crawling all over the house, they can find themselves getting into areas that are not beneficial to their health. Keeping a home clean of germs and removing the opportunities that pests have to find the surroundings hospitable to them is another step parents can take to ensure that their children’s health remains in good standing.